Did I hear weekend getaways? Nah, Best Weekend Getaways? I think the best way to spend your weekend is to visit places near to the place where you live. If you have a motorcycle, distance becomes crucial as it gets tiring after 250-300km as a weekend trip. But I can’t spend my precious weekend riding early morning for breakfast. I jump out of office most Friday evenings and with a couple of my riding buddies aim for a sub-300km destination for some excitement. Under 300km because anything after that is just plain uncomfortable. I’m jotting a list of 5 most visited places I could manage easily for my weekend escapades. Lansdowne hill station and military cantonment located in the state of Uttarakhand and is about 250 km from New Delhi. It is often called the silent hill station owing to its remote location. 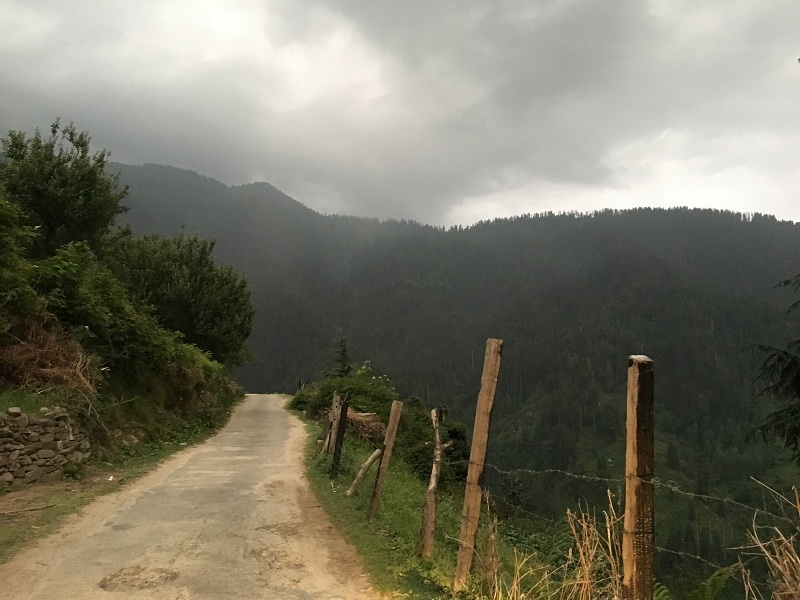 Don’t go by the name, unlike other hill stations, it is very well connected with the roads for you to ride your bikes on. I started with a couple of friends on one fine Friday evening, obviously after office hours and raced for Kotdwar. The route which I took was via Meerut, Bijnor, and Kotdwara. From the city of Kotdwara, Lansdowne is just 45km of twisties. The road conditions were good on the hills. I cannot actually say much about the scenic beauty as it was dark. However, it was cold as hell (in the month of December). My best bet is that you book a British property (just a room of course) to spend your night there. The next day, we tasted many roads in and around the hill station. Not to mention there are a bunch of exotic bakeries you might be interested in. Few pointers such as Garhwali Mess Museum, St. Mary’s Church, Tip N Top point among with few Resorts are to look at. We also visited nearby villages and captured breathtaking sceneries on the way to satisfy your wanderlust. 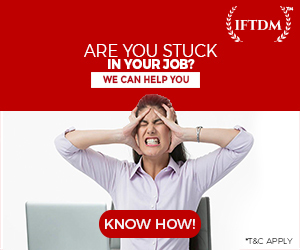 Moreover, this one is a serious stress buster ride for anyone. I calmed down my soul by taking a walk on the busy streets (this might be of some help). Just be sure to get back home and attend your office on Monday. 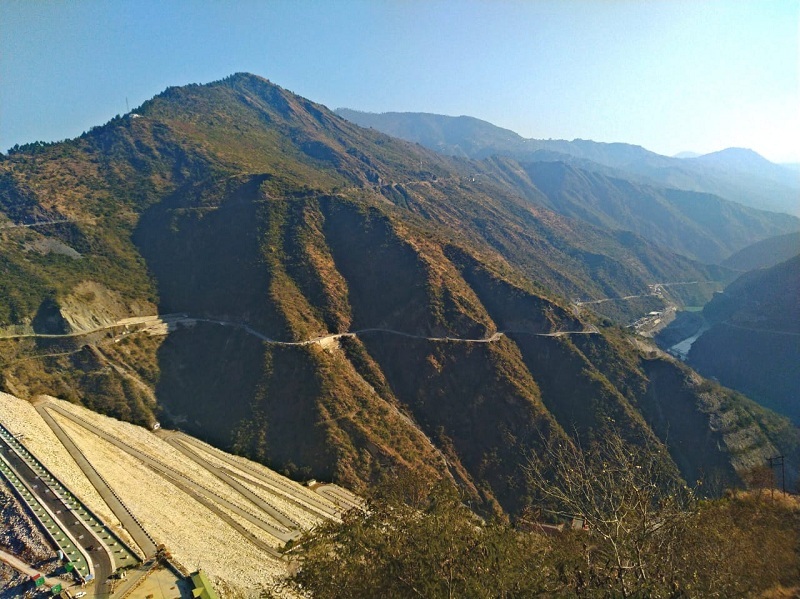 Let’s move on to the Rishikesh-Chamba- Tehri ride. This one is a bit longer than the Lansdowne ride standing at 310 km. So I divided this ride into two parts. In the First leg, I reached Rishikesh by Friday Midnight and fell into a deep slumber in a pre-booked hotel. Next day was a bit tricky, I had to decide whether to reach Tehri which is around 80 km ride or spend some time in Rishikesh itself. I decided to ride in the morning. The roads are winding and a biker’s delight but unfortunately roads were under construction and will be up and running soon. 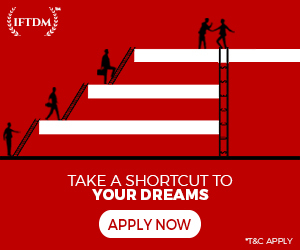 After reaching Chamba, you have two options. One, to ride towards Dhanaulti and second towards Tehri. 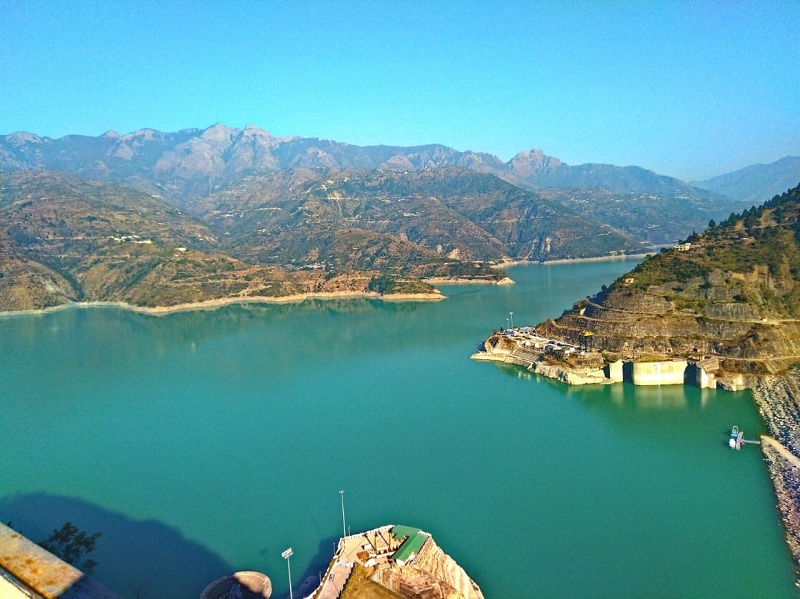 I chose Tehri as it is shorter one and I haven’t seen the Marvel of Engineering, The Tehri Dam. Saturday spent wisely around the town and ended with walking before bedtime, the next day was to retreat. A little break at the Rishikesh and then I rode back with lower backache. Please, don’t miss to capture some beautiful moments of natural sceneries as I did. I went to another place in Uttarakhand which is Nainital via Bail Parao. This time the third member was replaced with my boss and he led the ride. Bail Parao is around 270 km from Delhi if you ride via Kashipur. One warning I’d like to give is don’t ride alone at night near Jim Corbet National Park area as bandits are all set to take the most important thing from you, your life. Period. We reached Bail Parao after midnight like most of the times. We dumped ourselves in a pre-booked Cottage in a resort. Riding with friends will not burn your pocket for staying at night. If you are single, you shouldn’t be, its better you sleep at a dhaba. Next day, we booked a safari and explored nearby forest area. 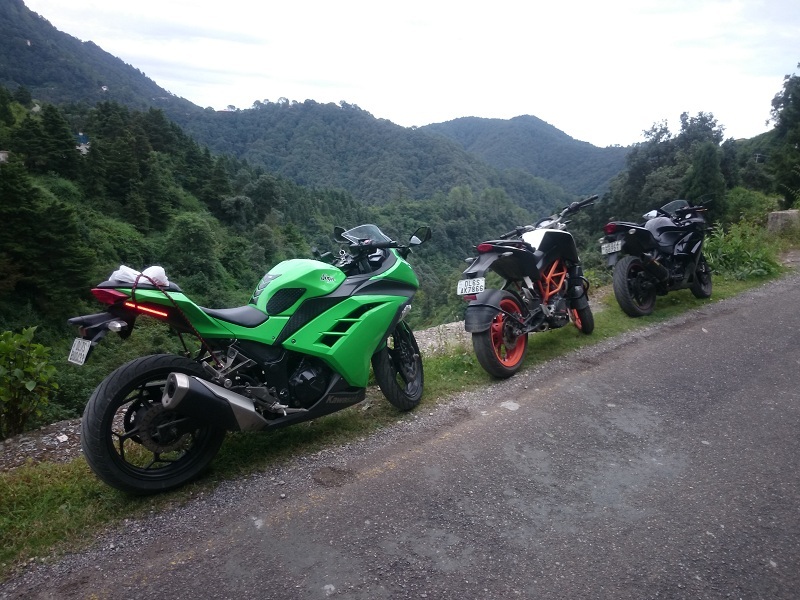 After chilling out at Bail Parao, we started our engines and rode towards Nainital. Nainital is 52 km from Bail Parao via Kaladhungi. Standard time to reach Nainital from Bail Parao is somewhere around one hour and thirty minutes but we did it in a little over two hours. After we park our bikes near Stadium we head to gorge on delicious momos at Sonam’s. Then we walk towards Machaan Restaurant for dinner. Obviously, apart from the weather, we’re mostly here for food. Pick ‘reshmi kebabs’ from the menu for sure, and some biryani and paneer. After we fill up to the brim its time to head to Sakley’s for some sweet delights. This bakery has not changed its menu or style in years. Love it! After we couldn’t eat more, we soak up moonlit Naini Lake and then head back to our Cottage in Bail Parao. Next day is the day we head back to our bread givers. However, most of the time while returning, we go to Giriji Devi Temple in Garjiya town. Temple is about 20 km north of Ramnagar. The iconic Temple is situated on top of a large piece of rock on the river bed of Kosi river. Wet and Cold places are done, now its time to talk about hot and dry getaways. Bharatpur is one such heritage city located in the state of Rajasthan. 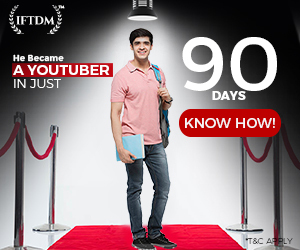 It is 200 km from New Delhi if you take Yamuna Expressway and 183 km via Mathura Road. 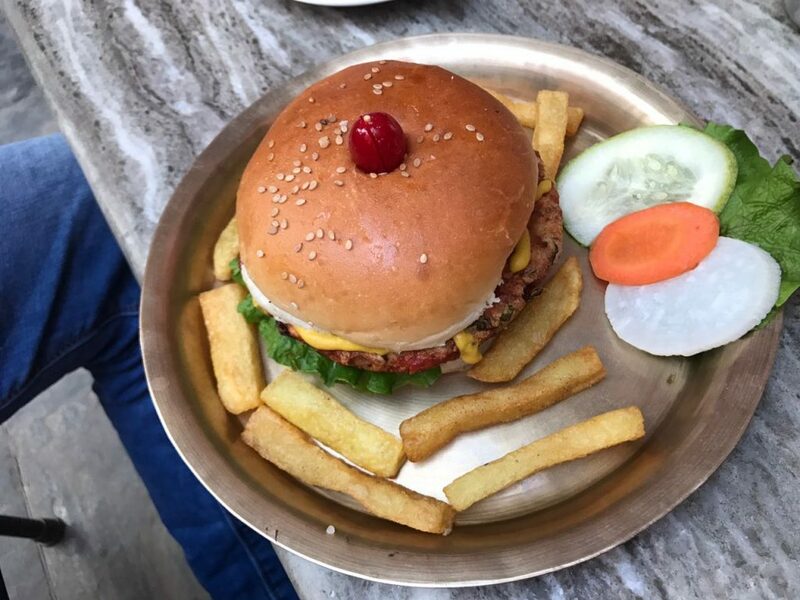 But there is a catch, you’ll pay the toll and get bored on the Yamuna Expressway but if you take Mathura road, it will become one hell of an adventure bumping through the old patch of road. I chose the Yamuna Expressway because Duke’s suspension is stiffer. 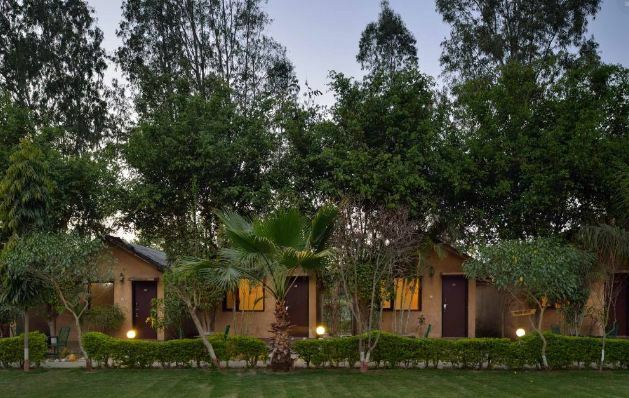 Bharatpur’s main point of attraction is the Keoladeo Ghana National Park which is a Tiger Reserve. It is also called Bharatpur Bird Sanctuary for its flocks of birds. Lohagarh Fort, Bharatpur Palace, and Museum must also be on the list. I just visited Bharatpur palace. One can also make this trip a luxurious one if you have heavy cruisers from makers like Harley Davidson or Indian. 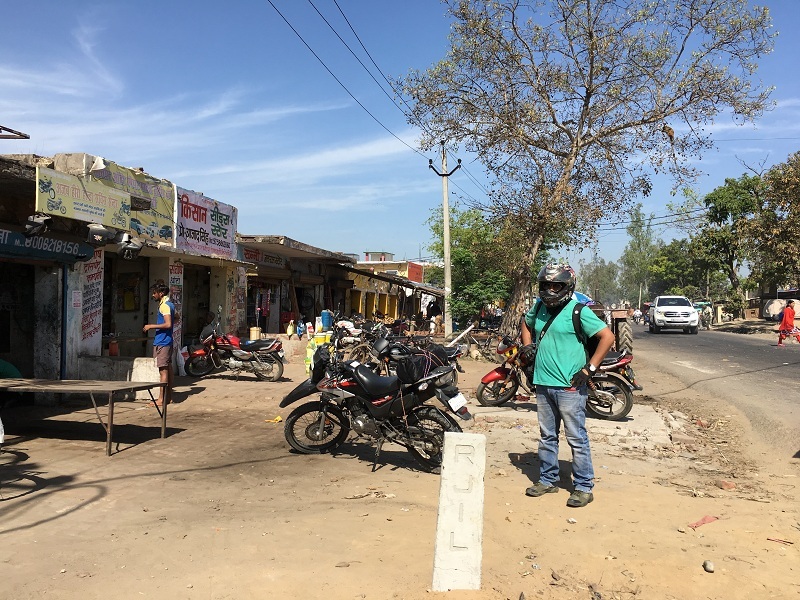 Bharatpur is more of a casual visit than an adventure ride. Coming back to the one everyone is fond of, whether it is a Harley Davidson or a Pulsar 200 Alwar attracts all. Located just 153 km from New Delhi via NH 48, the city has its own cultural heritage. We changed my mind and instead of riding on Friday night, we started at six in the morning on Saturday. By 10:30 AM we stopped at the booking office of Sariska Tiger Reserve. 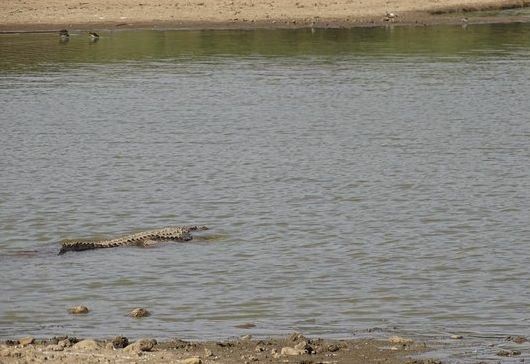 We head to Sariska Wildlife Sanctuary which is about 35 km south of the city. Sariska Palace was second on our list. The Palace is an architectural marvel and one thing we admire is the natural surroundings. After spending quality time, we head back to the city and visited Baazaza Bazar which was quite colorful at night. If you are with your girl, do bring her to Baazaza Baazar. All sort of traditional Rajasthani textile and jewelry is sold here. There is a high chance she might end up loosening your pockets. Next day, we headed to Siliserh Lake Palace which is an amazing piece of structure. The royal palace is now converted into a heritage hotel by Rajasthan Government. After this, our next spot was Garwaji Temple and waterfall. The scenic beauty is untouched by humans and has a natural essence. Garwaji Waterfall is 25 km from the city and is a must visit place if you ever land up in Alwar. This article was mainly for those bikers who are tight on budget and want to explore places near Delhi. 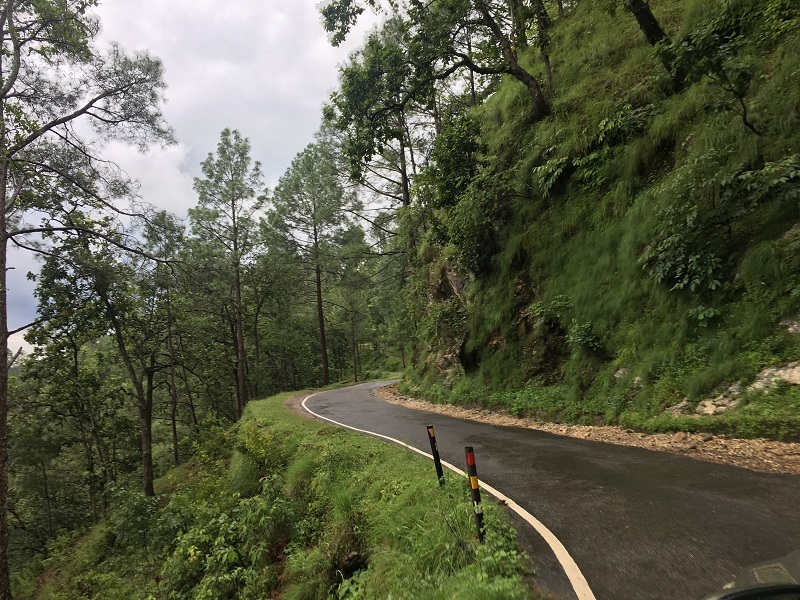 One can find sweet twisties in Rishikesh and above areas. 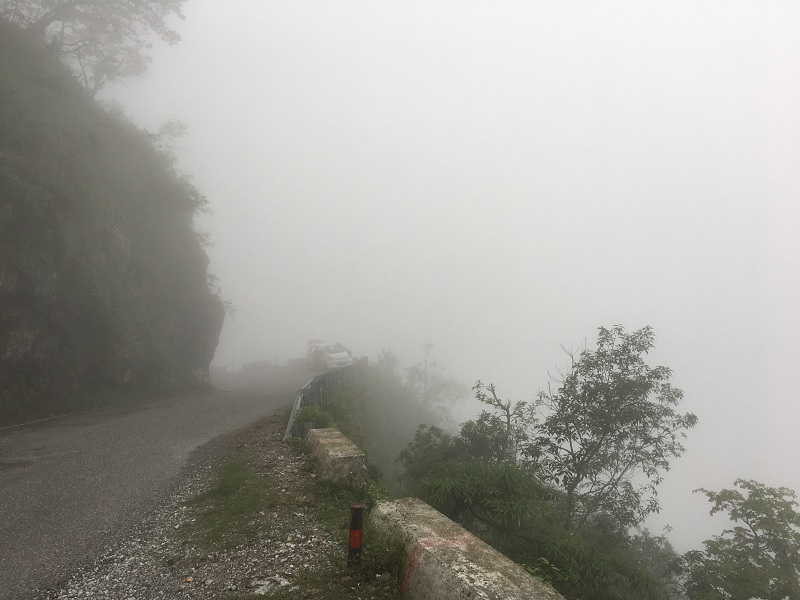 Not to mention, the road from Kaladhungi to Nainital is pure bliss. In my opinion, the places in Rajasthan has straight highways and these are best suited for heavy cruisers as well as a sports tourers. 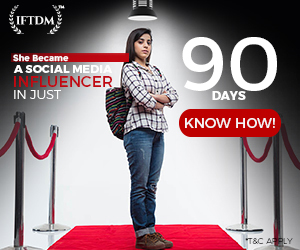 As most youngsters work in Delhi-NCR and already explored every of Delhi. 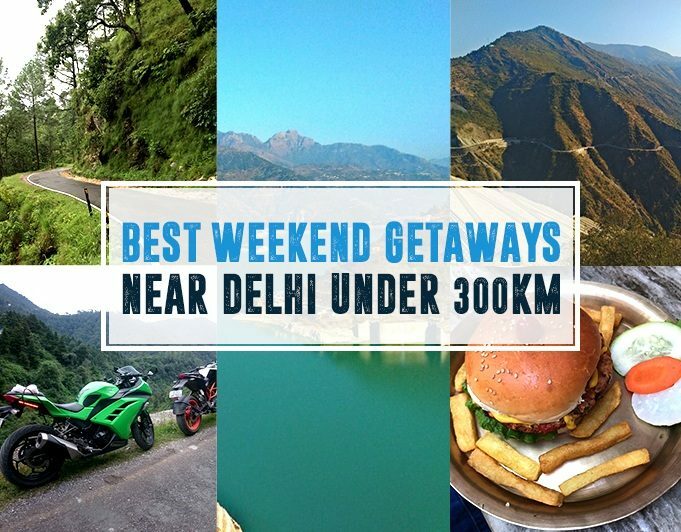 These are best weekend getaways one can try to look at after the salary is credited.